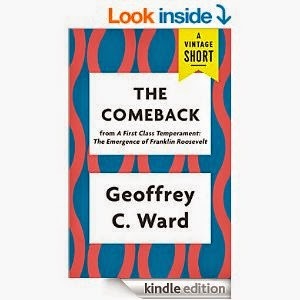 This short nonfiction book gives a view of Franklin Delano Roosevelt that might not be familiar to most people. Of course, most people know he was stricken by Polio. However, there is more to the story. The quiet part of FDR's story is that he tried to keep the Polio hidden from the public. In the very beginning of this Vintage Short, there is a very awkward moment between FDR and his driver. The driver is trying to get him safely out of the car. Then, the wind blows FDR's hat off his head. The driver asks someone else to hold up FDR while he retrieves the hat. The hat is put back on Roosevelt's head. Then, it's time to get him positioned to walk with the crutches. Meanwhile, a crowd has gathered and are watching closely as this clumsy moment takes place. All the while, FDR is quietly laughing to himself about the whole situation. This is a fun children's book. I have a feeling most children would enjoy it during a spooky holiday. There is a quiet, little theme. Where ugliness is, there is a chance to find beauty. 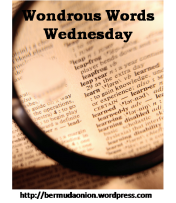 This theme is helpful for children who are living in tough situations. They are taught early by Louise Lintvelt and Kristin Wiseman to not give up when all around them seems sad and ugly. I have been enjoying this novel so much. I decided to give up a fun weekend to finish it. 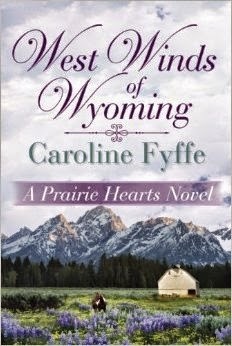 West Winds of Wyoming by Caroline Fyffe is like reading two love stories at the same time. There is Brenna and Mr. Hutton's story. Then, there is Nell and Charlie Rose's love story. Both stories are creatively knitted together. Of course, there are sorrows and bad trouble to deal with along the way. To sweeten the story there is little Maddie and a kitten and Brenna's children and the school children. It all begins with Charlie Rose coming into town with his daughter, Maddie. Maddie is blind. Maddie's blindness is not a problem for her daddy. He loves her very much. He lost his wife, Annie, in a wagon accident. He comes to town because of a man who is chasing him. A man who wants to kill Charlie because he shot his son. Charlie can never relax. For Maddie's safety, he gives her over to Brenna. Brenna is a good woman and a woman who will open her heart to little Maddie. I finished Song Of My Life by Carolyn J. Brown and A Wedding And A Killing by Lauren Carr. 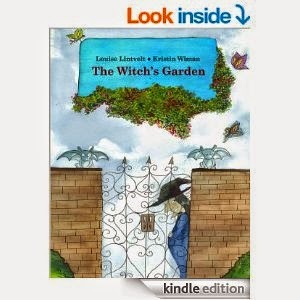 These books are from Amazon, Pump Up Your Books and NetGalley. Thank you. 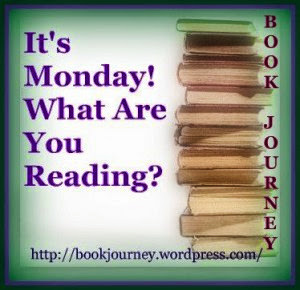 Now I'm going to read All Things Murder by Jeanne Quigley(Gale) from Omni Mystery News Daily. Also, The Bachelor by Stephanie Reed, Bethany House. 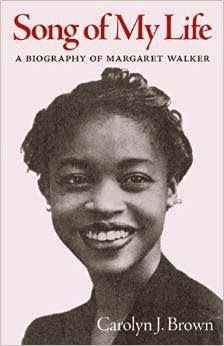 Margaret Walker wrote poetry and a great novel titled Jubilee. The novel, Jubilee, is based on the life of Margaret Walker's great grandmother. Margaret Walker led a fascinating life as she made her way to Iowa and other places completing her education. She lived in Mississippi. At one point, she lived across the street from Medgar Evers. She was out of town on the night he was gunned down by an assassin's bullet. Carolyn J. Brown writes about Margaret Walker with great admiration. Margaret Walker had a never give up spirit, a fighting spirit. She knew what she wanted and had the bravery to go after what she wanted. After meeting Langston Hughes for the first time, she asks him to read her poetry. He took her work and read it. When she meets him at another reading affair, she asks him to read her work again. This time he turns her down. I admired her ability to ask such an important man to read her work. She wasn't a shrinking wall flower. "Becoming a Christian takes a person or persons down a new and different road. Neil T. Anderson explores how we become new creatures in Christ in the book Renewing Your Mind. I mostly felt blessed by the chapters about depression and hopelessness. I felt very moved to read a long paragraph about Leo Tolstoy's battle with depression and his suicidal thoughts. As Neil T. Anderson writes about the names of our battles he gives written journal entry questions at the end of each chapter. The book is user friendly. Perhaps, I'm suppose to find something wrong with this book to prove my critical thinking cap is on my head. I can not find any complaint with the book. There are chapters about anger, self worth and anxiety. There is a Bell Curve that shows our state of being from the moment we hear about a crisis until we work our way out of the given trauma. I am grateful to have been given this courtesy copy by Bethany House. I'm still reading A Wedding And A Killing by Lauren Carr. It's a mystery. I'm almost finished it. It's for a book tour with Pump Up Your Books. 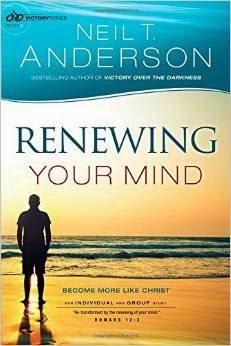 I did finish reading Renewing Your Mind by Neil T. Anderson. Now I'm also reading The Goldfinch by Donna Tartt. It's really hard to put down. Need to get back to my Net Galley reading. Need to start Song of my Life by Carolyn J. Brown. It's been on my blog too long. "She cried for an hour and then thrashed and lay still and got up and threw up and lay down and cried again, until it was too dark to see and she fell into a half sleep, her head full of (phantasms). Each time she looked up, there was the strange, tiny, semihuman face staring in at her through the screen. It was a bad and long night, and she did not sleep until nearly dawn." 2. "Far off to the east stood the campanile on the UC campus, shining like a needle." From the beginning of this strongly, creative tale, I've been out of breath from running and hiding on different Haitian nights. This is not a tale for the timid. There is violence. Usually, I would have walked away from such a book. This novel is impossible to walk away from even if you are afraid of machetes and blood. J.M. Lominy definitely is a wonderful storyteller. This novel could very well be a movie. It's about Grimo and the people who are his enemies or his friends. Grimo is a Champion Soccer player in Haiti. The story begins with the assassination of a senator. From there on out the novel is filled with revenge and other hot emotions. There are surprises in the novel. I was quite surprised to learn about Grimo's love life. This love story could make a book in itself. What might happen if a parent chooses to decide whom their son or daughter will love? http://bermudaonion.net "No matter how tired she was, she looked for wild parrots at the end of the day, walking out under the trees with her binoculars and camera at ready, but she'd had no luck spotting them. 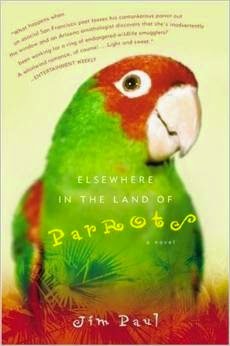 In the high leafy canopy of the ciebas, birds simply disappeared." "Above, the stars and the moon were hidden, a jet black swirldraped around them making the sky seem not to exist, producing a strange but steady silence, giving pause to the wind. As if afraid of the darkness, the coconut trees barely moved against a teasing breeze making its way off the Haitian coast. That same breeze brought first, slave ships, and eventually, tourists in search of paradise--the Haitian experience was open to all. Foreigners came in droves to see and interact with the French-speaking Negroes." 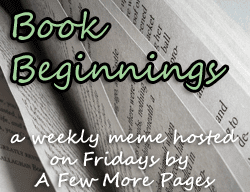 This week I finished The Girl Who Came Back To Life by Craig Staufenberg. 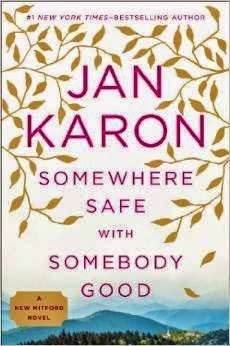 Also finished Somewhere Safe With Somebody Good by Jan Karon. I'm reading Murders At Astaire Castle by Lauren Carr. 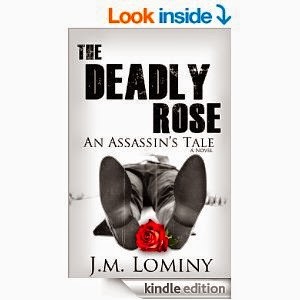 Also reading, The Deadly Rose by J.M. Lominy. "Some of the women spoke of lost husbands, others of friends and family. Some spoke of their parents and others of children half gone from this world, waiting in the north to finish their journey to the next. Each of the women spoke of their passed loved ones intimately, as if they had just seen the dead the other day. When they spoke of Sending, they spoke as if their pilgrimage was just another in a long line of favors they provided their loved one, conducted more from necessity than love." http://rosecityreader.blogspot.com "When you die, your spirit wakes in the frozen north, in the City of the Dead, and waits there until someone comes along to Send you to the next world by telling you a simple and heartfelt "goodbye." This single word, spoken by someone who loves you, releases your soul from this world and lets you finish your journey to the next life. The city of the Dead is difficult, dangerous, and expensive to reach. You must join the steady stream of mourners who pour north at all times to Send their loved ones, unwilling to let their dead wander forever through the cold." When I started "Somewhere Safe With Somebody Good by Jan Karon, I thought she had given me enough pages to enjoy while saying goodbye to my favorite characters. As I neared the end of the novel, I realized Mitford had become a part of me. Since I have met the characters in a few of the other Mitford novels, I know these characters quite well. Reading this book felt like a family reunion. I felt so happy to meet Father Tim and Cynthia again along with the Violet cat books, Dooley, Sammy, Henry and so many I haven't named here.